"It’s a job requires a lot of dexterity, a lot of flexibility, because of the state of Wyoming faces almost every kind of legal issue, and being a massive energy producer for the United States and World and those issues. And all the other stuff that other Attorney General’s offices do around the state, it really makes it a big job." Michael is a graduate of Yale and the University of Wyoming law school. He says that he has worked with a number of the recent attorney generals and he’s hoping to live up to their standards. Gov. 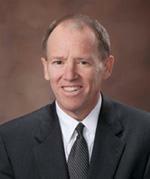 Matt Mead has named Peter Michael to serve as interim Wyoming Attorney General. Michael replaces former AG Greg Phillips, who was sworn in on Monday as a judge on the U.S. 10th Circuit Court of Appeals. Michael had served as deputy attorney general for Phillips. Mead says Michael is an excellent attorney. Mead says he's confident Michael will lead the Attorney General's Office in a steady and capable manner until he can find a permanent replacement for Phillips. 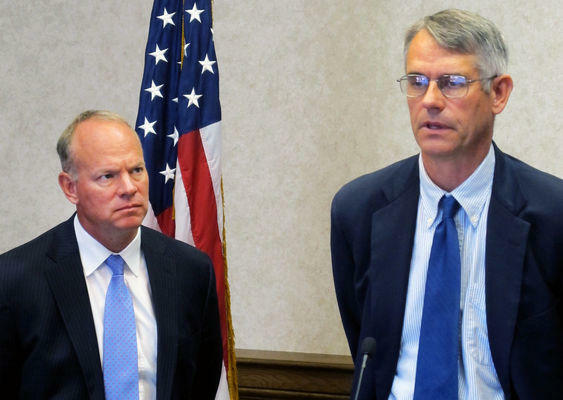 Wyoming’s Attorney General has a new job. Greg Phillips was unanimously confirmed by the U-S Senate to serve on the U-S Court of Appeals for the 10th Circuit. Phillips, a Democrat, was strongly supported by both of Wyoming’s Republican U-S Senators. Senator Mike Enzi used to serve with Phillips in the Wyoming legislature and says Phillips is highly qualified and well thought of.